When you’re just a tiny 4-month old puppy the world can be a scary place. Imagine being all alone, large loud cars passing by, no-one to help and then all of sudden a loud bang and you’re thrown into the middle of the highway. You recover but large cuts on your arms and legs make it painful to move. That’s what happened to Carry. 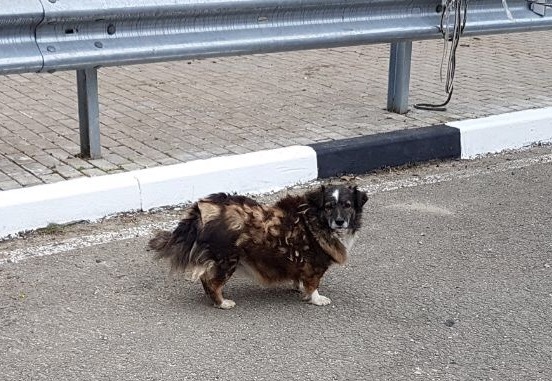 We don’t know her complete story, we found her scared and in pain with several large cuts around her legs which we can only presume happened as a result of a car accident. We rushed Carry to the vet for x-rays and blood work. Thankfully she doesn’t have any broken bones, however the cuts are inflamed and will take time to heal. To help Carry recover we’ve ordered medication and special high quality food to ensure she is getting the proper nutrition. Carry has a long road before she is fully recovered, please donate to help us care for her. At the beginning of September, we got a call asking for help for this sweet girl, who had been beaten and was dragged to the river to be drowned. Our team arrived just in time to save her and filed a report against her abuser. When we found Kohanna her neck was badly damaged so she couldn’t hold up her head. We made a homemade brace for her neck and jumped into action to get an appointment with the best surgeon in Sochi. We we’re told the surgery only has a 75% success rate but this would be the only way to save Kohanna’s life. 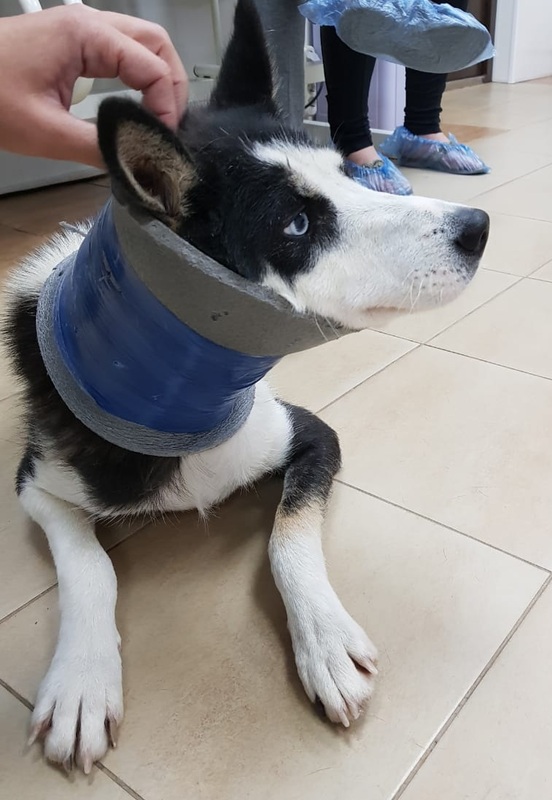 It would be a few days before the surgery and we did everything we could to keep Kohanna comfortable. Before the surgery we ordered medication and a neck brace for her which the hospital didn’t stock. The big day arrived and we waited in anticipation to get news from the surgeon and his team. After several hours the we got news that the surgery was a success! Kohanna was a phenomenal patient and the entire team fell in love with her. Of course', this wouldn’t be the last they saw of Kohanna. Over the next four months Kohanna had number of vet visits and x-rays taken. She has recovered beautifully. At the end of November vet said she is all healed after her surgery and she’ll be able to get her neck brace off next month! This week Kohanna said good bye to the team who saved her life. She had her last check up and x-ray. She’s been given a clean bill of health and she is ready to find her forever family! 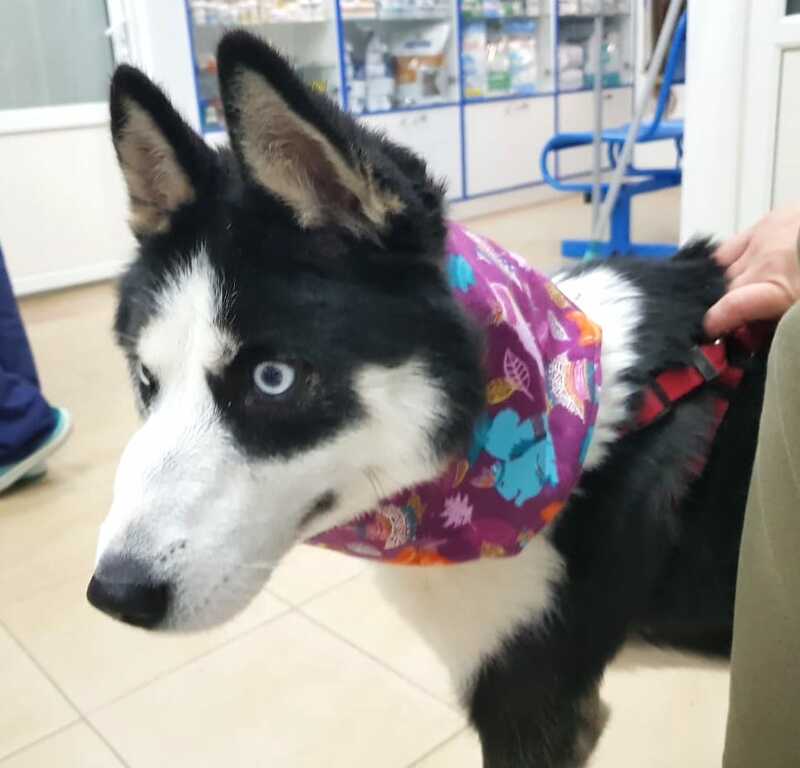 Thank you to everyone who supported Kohanna on this journey by donating to help us cover her vet bills, send well wishes, and a special thank you to Yvonne T. for sending Kohanna a bandana to make her extra stylish! 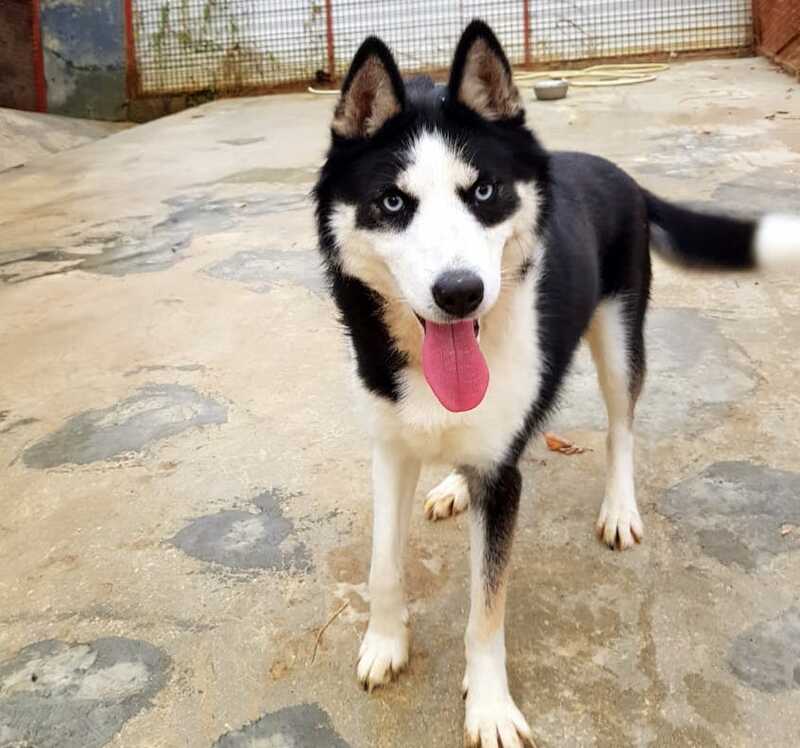 Kohanna is beautiful, super friendly 2 years old Husky This special girl loves affection, can walk perfectly on a leash, loves car rides and she is house trained. Put in your application, Kohanna is ready for her new life! 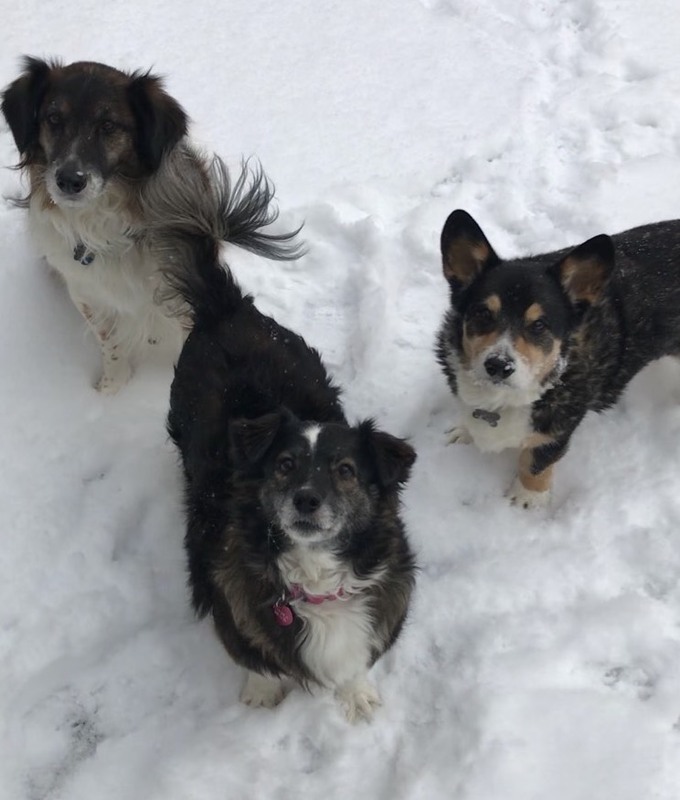 “Plusha is having a blast this winter during the polar vortex here in Pennsylvania with her brothers! They love romping, playing in the snow, and then warming up and snuggling together on blankets, couches, and beds! She could not be a better addition to the Wilson family. She’s a great little sister for Buddy, the big dog in the pictures...always playing together! She has taken upon herself a special responsibility for Willie, the 14+ year old Corgi here, who cannot see or hear barely at all. He never hears when they’re called when it’s time to eat, go outside, pee, or go out for a walk or ride. She always doubles back to go get him and make sure he knows what’s going on. She can tell he doesn’t hear us and won’t let him miss out. Sky showed up at Vlada's dental office looking for help. She was starving and covered in fleas. After a big meal, Sky settled in for a nap. The first time she could cuddle up somewhere warm and not have to worry she might not be safe. Sky slept and slept and when the workday was over Vlada took her to a foster home to get cleaned up and settle in. There we discovered that Sky has a beautiful white coat, a loving personality, and a small limp. A visit to the vet showed that the limp is a result of being hit by a car. It doesn't bother Sky and she adores romping around with the other dogs, cats, and play with a little boy at her foster home. 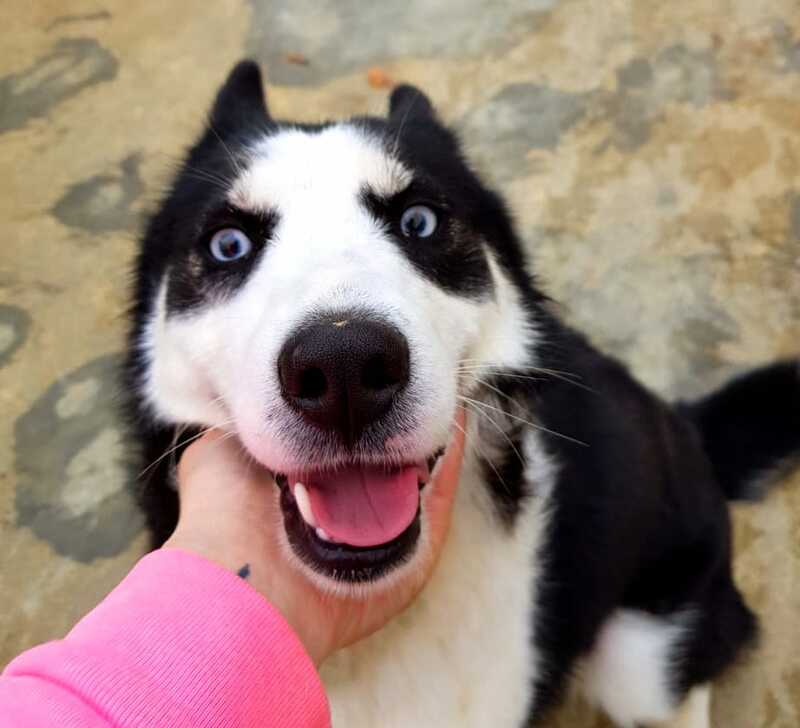 Sky is arriving in NJ on Wednesday and we are looking for the perfect forever family home. Are you ready? Fill out an adoption application.